Traffic collisions happen every day and thousands of life are taken away due to these tragedies. Road accidents happen due to many reasons such as drivers’ behavior, road conditions, traffic design, etc. Sometimes accidents are unavoidable, but most of the time road collisions could be avoided if drivers were more alert. To assist drivers especially the inexperienced types, Mobileye has introduced a unique camera-based device coded as AWS-4000 which can help to prevent road accidents significantly. The Mobileye AWS-4000 consists of a windshield-mounted vision sensor unit with a compact High Dynamic Range CMOS (HDRC) camera, a pair of high-quality speakers and a high visibility Display and Control Unit. The forward-facing camera will detect and identify the vehicles, objects and even the lane lines ahead. The data collected will be transmitted and displayed on the dashboard of the Display and Control Unit. The intelligent system will signal and warn drivers if there are potential hazards such as forward collision, driving out of the lane, etc. 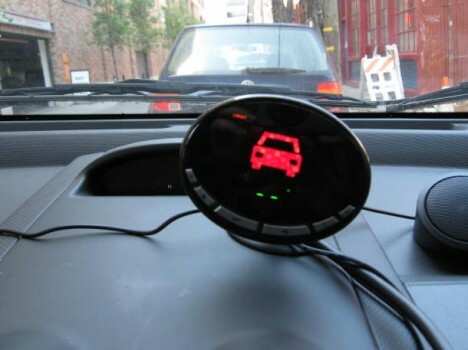 Mobileye AWS-4000 is something which could help save lives on the road especially for frequent travelers who always spend their time in the car. Long hours of driving can easily make one lose concentration and focus so gadgets such as AWS-4000 could help a lot. Besides alerting and warning drivers from time to time, it also indirectly trains drivers in terms of driving habits and patience.